An Invitation to Collaboration Scheme supports initiatives in the field of local-authority-led arts development. The scheme is rooted in the policies set out in the Arts Council’s ten-year strategy (2016–2025), Making Great Art Work: Leading the Development of the Arts in Ireland and in A Framework for Collaboration: An Agreement Between the Arts Council and the County and City Management Association. The emphasis is placed on supporting partnerships that focus on developing projects, resources or services that are ambitious and are testing new ground. Exit 15 is an creative place programme responding to the artistic aspirations of local people in the Ballyogan area of DLR. It is coupled with an action research project led by Queens University in tandem with two other local authorities and arts partners. 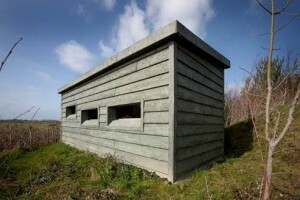 A collaborative and interdepartmental enquiry with biodiversity officers to research new models of future public art commissioning with focusing on the pertinent issue of art and biodiversity, common to their eastern coastlines, which will take the form of a forum in each county coastline with invited local national and international art & biodiversity experts to contribute to the enquiry. A Dance and Health action research programme to deepen the place of dance in healthcare in partnership with regionally based local authorities, communities and dance artists with the overall aim of providing a model that can be used nationally. A research project which represents a strategic intention by the local authority partners, who all work in different contexts, to examine Arts Service work practices in a variety of contexts, to better understand their changing roles, inform future policy development and meet the future sector and public needs. Clare County Council with the Irish Memory Orchestra, Arts and Disability Ireland and National Council for the Blind. A research and development orchestral project for musicians who are visually impaired, leading to the composition of a new work and creating a learning and supportive environment for musicians, which will be artistically led by the Irish Memory Orchestra and 3L an online teaching resource.